I would like to leave a gift in my will so that future generations can enjoy the ballet as much as I have, in the best place to see it. I am anxious that future generations should have the opportunity to go to the ROH and, hopefully, learn to love opera. My life would have been much impoverished without that opportunity. For nearly three hundred years, audiences have gathered on the site where the Royal Opera House stands to be thrilled, moved and inspired by ballet and opera. Many of those who come to the Royal Opera House support our work by becoming Friends or Patrons, naming a seat, supporting campaigns or by helping to fund our productions and programmes that open up the world of ballet and opera to children across the UK. Others are so touched by what they have seen and heard over the years that they make a commitment to help keep our rich legacy alive by leaving a gift in their will to the Royal Opera House. Every legacy we receive supports our work both on stage and behind the scenes. Every gift, no matter what the size, makes it possible for us to create and stage new works, revive heritage favourites and support and nurture future generations of talented young performers and craftsmen and craftswomen. We are truly grateful for every act of generosity from those who make the decision to pass on ballet and opera to future generations; a gift that will ensure their passion for the arts lives on. By remembering the Royal Opera House Endowment Fund (Registered charity number 1089928) in your will, you too will ensure that the Royal Opera House can continue to capture the deepest human emotions in thrilling and moving performances of opera and ballet. You can choose to direct your gift towards supporting ballet, opera, education and new talent or our general funds. Each year the Royal Opera House Endowment Fund supports ballets, operas, backstage craft and education opportunities for children and young people. In 2018/19 gifts in wills are supporting opera productions Der Ring des Nibelungen, La forza del destino, The Queen of Spades and The Marriage of Figaro and ballet productions Mayerling, Don Quixote, Romeo and Juliet and the exciting mixed programme Within the Golden Hour/New Sidi Larbi Cherkaoui/Flight Pattern. They are also supporting Chance to Dance and the work of the Armoury Department. Through the generosity of enlightened individuals, the Endowment Fund will secure the place of the Royal Opera House as a place of vision, a vital force across the globe in both opera and ballet, and a home for Britain's cultural heritage for generations to come. To find out more please contact Marina Jones on +44 (0)20 7212 9369 or by email to marina.jones@roh.org.uk. You can also download our brochure ‘A Lasting Legacy’ (PDF) which gives more information about leaving a gift in your will to support the Royal Opera House. If you would like to make a simple amendment to your will, you can download a codicil form (PDF). Alternatively you can complete a letter of wishes form (PDF). Or you can fill in a pledge form (PDF) to let us know of your intentions. The Royal Opera House encourages everyone who plans to make a gift in their will to let us know of their intentions; this enables us to make you an honorary Baton Associate, and gives us the opportunity to thank and recognize your support during your lifetime. 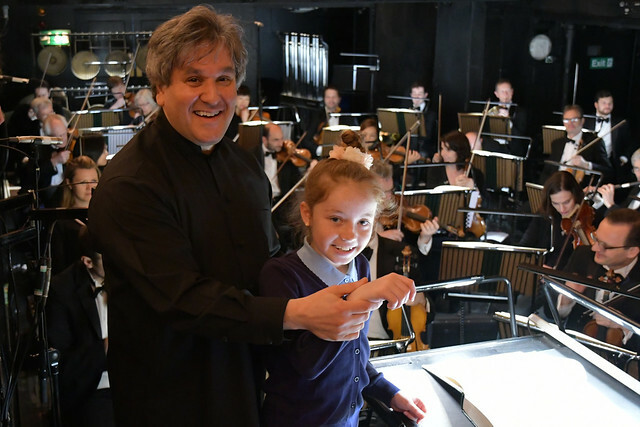 To speak to someone confidentially about leaving a legacy to the ROH, or to arrange a visit or backstage tour to talk about how such donations support our work both on stage and behind the scenes, please contact Marina Jones or telephone 020 7212 9369.